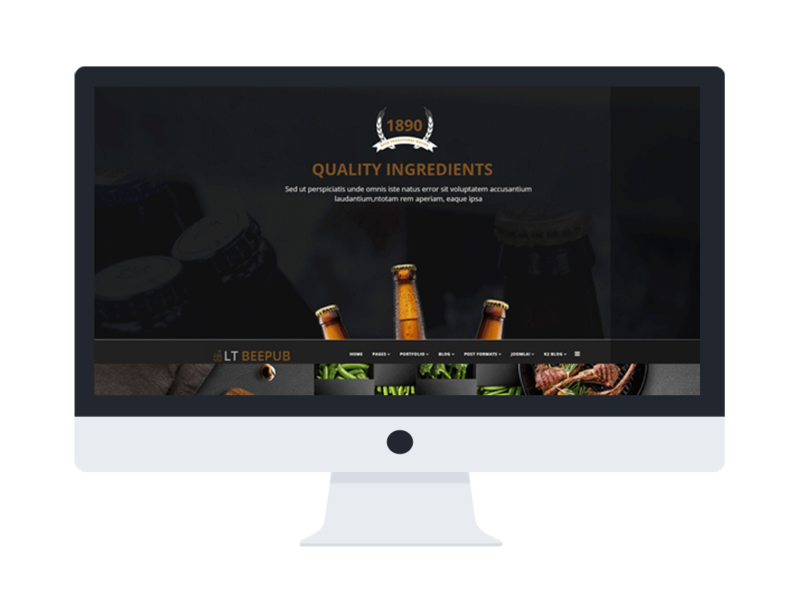 Come with latest and strong framework, Joomla Bar template find and gain everything you need to showcase and promote your bistro/ restaurant! 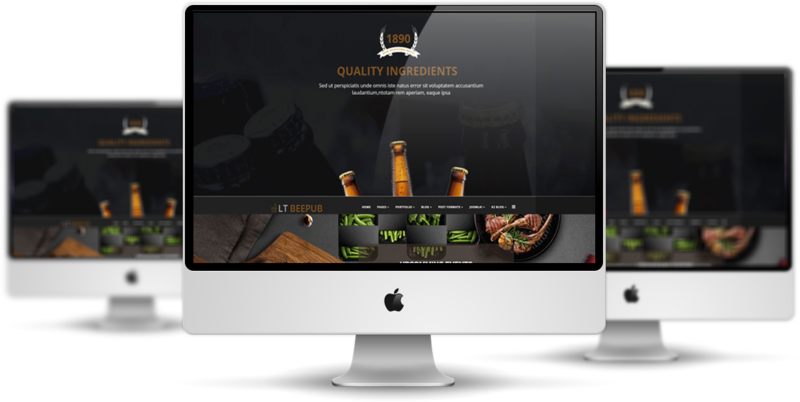 LT BeePub is a Joomla Bistro template which is absolutely intended to all kinds of bar/bistro/restaurant websites that provide your site best beers images. 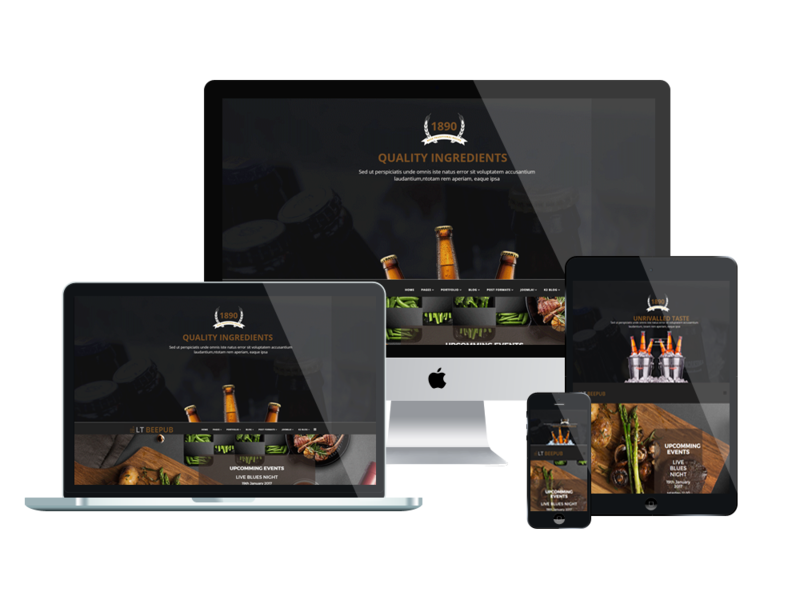 Especially, this template is equipped with an amazing feature that allows visitors to book a table online, and also the perfect blog to present regular content as well as a great gallery with high-quality stock photos to showcase services/ delicious dishes. The template framework comes with Page Builder for layout, Shortcode for editing content efficiently, Support Font Awesome, Compress files and many more. It also integrates 4 color styles and run under strong framework, unlimited module positions, easy to drag-drop layout content. 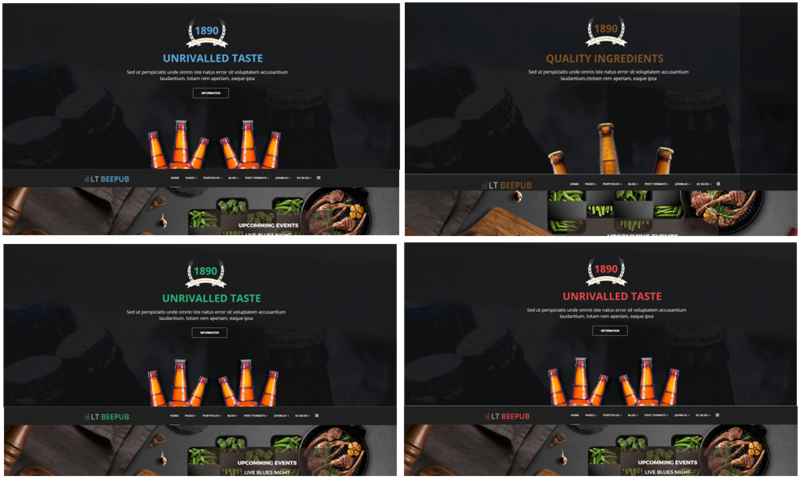 In addition, LT BeePub is well developed based on fully responsive layout, so your site will display beautifully on any mobile devices with the great layout as on PC. LT Beepub will not disappoint you if you choose to believe it! Come and enjoy it now!